It had been a while. I don’t climb in weather like this. I stay inside and drink coffee. But I dutifully marched through the whiteout, following Simon as he navigated by compass toward the highland plateau of Cairn Gorm. He was searching for a particular block of rock, from which we would rappel into nowhere and then climb out. The last time I started climbing in a whiteout, versus being caught in one—there’s a big difference—was thirteen years ago, here in Scotland. It was the 2005 BMC (British Mountaineering Council) Winter Climbing Meet, where they pair visiting climbers with local hosts. Steve House and I came from the U.S., and on the first day our host was my friend Ian Parnell. After an hour of hiking through gale-force wind that blew the snow sideways, we caught a quick glimpse of a cliff plastered in white. “It looks to be in good nick!” Ian shouted to me from three feet away. 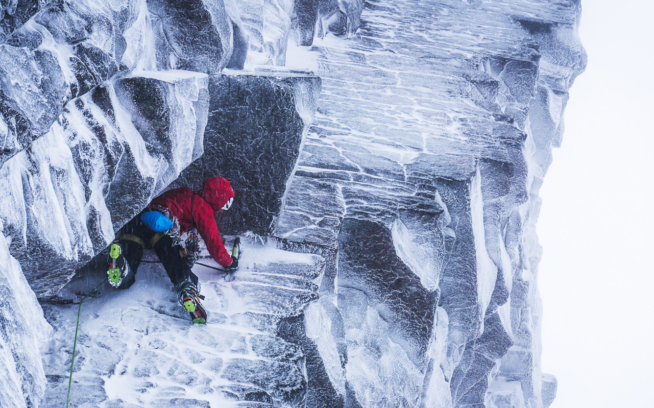 Of course I’d heard of Scotland’s legendary mixed climbing history, and seen pictures of cliffs speckled in what looked like snow, which I figured had to be ice, or something with at least a degree of cohesion. “No! It’s complete piss. You scrape it away and climb the rock beneath,” Ian said, before putting his head down and continuing toward the base. In truth, the white has some cohesion. 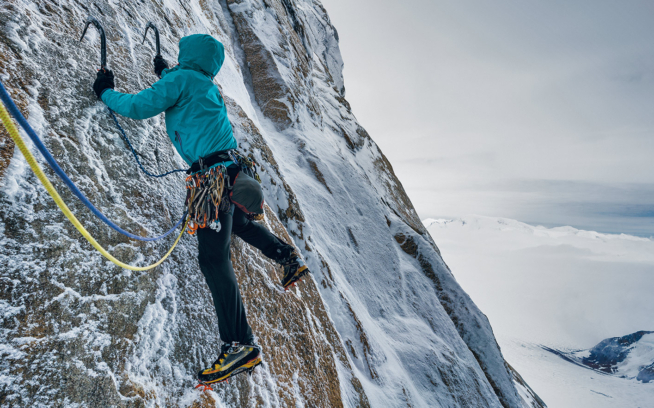 Rarely enough to place ice screws—the handful of ice gullies are homes for those—and usually not enough to support full body weight. But it adds a modicum of support, unlike the dry powder back home in Colorado. It usually freezes the loose blocks together, too, but you have to be meticulous with cam placements, as they can slide on the rime. Hexes and nuts rule for protection. Especially if you hammer them in. Most importantly, the ferocious wind, wet snow and frequent freeze-thaw cycles make for bomber turf sticks. And from the turf oozes mud and moisture, which then congeal with the wet snow and freezing rain. Voilà: It’s miserable magic. In Scotland you have to climb in bad weather, or else you wouldn’t climb at all. Which reminded me of the previous day of this 2018 trip (which began innocently enough, with a delightful weekend at the Edinburgh Mountain Film Festival). Simon, his friend and frequent climbing partner Roger Webb, and I started in a predawn drizzle and hiked through steady gusts for three hours in (two out), to climb for seven on the north face of a feature named Raeburn’s Buttress, on Sgorr Ruadh. We climbed in conditions so heinous that, had there been fixed anchors and had I been with a clone of myself, we’d have bailed. But Simon wanted to do a new line, as is his wont. He’s 57, has raised a family, is a recently retired engineer and is obsessed with new routes (which is how you get to 700 and counting). The adventure of the unknown combined with the lure of familiar, beloved landscapes prove impossible for him to resist. Just after starting the first pitch he looked up, paused, then found a stance and asked us to pass him the guidebook, so he could study the existing lines. Guidebook? “No wonder the pack is so heavy,” Roger mumbled, as he dug in and pulled out a brick of bound pages. Simon had slipped in the book, as Sgorr Ruadh is one of the few areas he doesn’t thoroughly know. “Yeah, we’re here,” Simon suddenly said on the highland plateau of Cairn Gorm. I couldn’t see a thing, aside from a block of rock sticking out of the snow. “Be careful not to walk over the cliff edge as the plateau is very featureless at this point,” Simon writes in the directions to this crag in Chasing the Ephemeral, which won the award for best guidebook at the last Banff Mountain Festival. His book follows an ingenious structure, coaching the reader through fifty featured routes to impart an understanding of Scotland’s nuance and magic, thereby helping enable success. 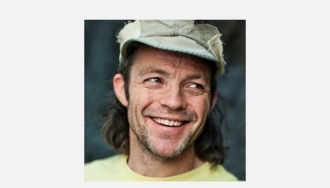 “I’m not a very good climber, but I know the mountains and understand them,” Simon told me. And I know this: The farther you stray from bouldering comps, the less being a good climber has to do with solely pulling hard moves. Years ago, while walking on the opposite side of the valley, Simon discovered this Cairn Gorm crag, Creagan Cha-no. The clouds had momentarily parted and, surprised, he saw a cliff. 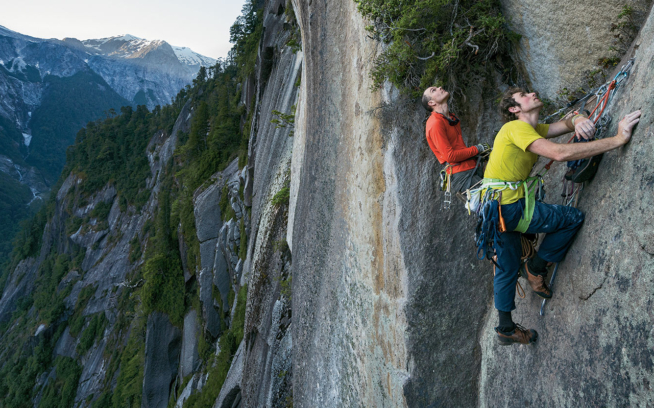 It had no prior history of climbing, perhaps because nobody had seen it. Yet if you know how to navigate (or are with someone who does), and don’t walk over the cliff edge, it’s a mere hour-and-a-half hike from the car. Which was lovely, since my feet still hurt from yesterday. He grinned and replied, “That’s a very good question.” Then he threaded his belay device and disappeared into the fog. At the bottom of the basin we pulled our ropes and crossed a snow slope one at a time, to the base of a classic route—it had relatively easy climbing, much like the day before, except nothing about Scottish winter climbing is truly easy. The cliffs aren’t very tall, but each outing is like a miniature alpine route, scrappy and character-building, and maybe that’s why I haven’t said much about the actual climbing, because it really isn’t about pulling ultra-good moves. Not in the way that a gymnastic sequence on pocketed limestone is good, or the killer blue tape route at the gym is good. But as we climbed toward the still-raging plateau, at one point I pulled my face into the wall and noticed how the rime-encrusted corners were comprised of millions of crystals of ice, intricate and beautiful, like miniature planets in a vast universe. I giggled to myself at both the absurdity and the joy, before a blast of spindrift made me shiver again. The next day I was finally warm. I sat on the tarmac, inside an airplane. The snow fell in wet, heavy sheets. Then came rain, mixed with sleet, delaying departure until the de-icer machines could set me free. I looked out the window, then sat back and closed my eyes. I recalled the far-north sunbeams shooting light across the moor, the view to the inlets of the sea during moments of cloud break and the soothing absence of noise. I also remembered the smile on Simon’s face, glowing from beneath his hood. The motors whirred and clicked and groaned, readying to whisk me away to sunny Spain to clip bolts on perfect limestone in weather that would be assuredly good—what the hell, I’d figured, since I was already across the pond I’d better hop over to Siurana. But it’s important to get the order right. Not because Scotland’s weather is bad, though—after all, how bad could anything be that freezes the green slime? This story first appeared at kellycordes.com.